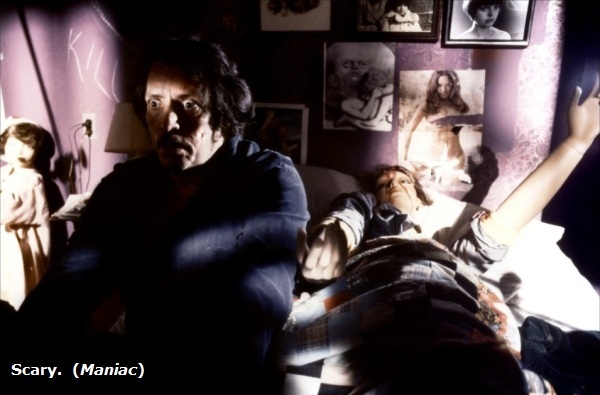 Horror Film Aesthetics: What Is An Unnatural Threat -- And Why Does It Matter? What Is An Unnatural Threat -- And Why Does It Matter? Horror requires an Unnatural Threat. Slasher films without an Uberpsycho (an indestructible, superhuman slasher, such as are Myers or Jason) lie closer to suspense/crime thrillers than to horror. Weak, pathetic slashers (e.g., Maniac, Don't Go in the House) are Natural Threats, hence, only tenuously horror. Why does it matter? What differentiates a Natural Threat from an Unnatural Threat? 1. You're at home, alone with a loved one. Just the two of you. Someone you've known and loved and trusted for many years. Say, a husband. You're talking intimately. Suddenly, he pulls a gun on you, snarling, saying he's hated and lied to you all these years, and now he will kill you. Horror? No, the threat is natural. Happens every day. 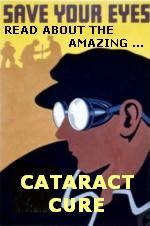 It's shocking and frightening, but the tale could as easily make for a crime thriller, a suspense film, or a soap opera. That's horror. That's an Unnatural Threat. The quality of fear differs. 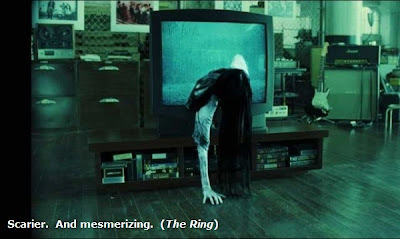 The Ring and The X-Files inspire a qualitatively different fear from the fear evoked by Saving Private Ryan, Death Wish, or Underworld. An Unnatural Threat evokes both fear and a sense of wonder. An Unnatural Threat is awesome and mesmerizing. This is why an Unnatural Threat packs a stronger emotional punch than does a Natural Threat. Some films do qualify as horror, despite their Natural Threats. I'm talking about the Naturalistic Psycho Gorefest, whose killers are colorful and bizarre (not weak or pathetic), as is found in Texas Chainsaw Massacre or House of a 1000 Corpses). But because the quality of fear differs from unnatural psychos, I'm inclined to think that the Naturalistic Psycho Gorefest is not a horror subgenre, but an entirely different horror genre. 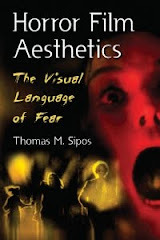 For more about Unnatural Threats, Uberpsychos, Apparent Uberpsychos, and Naturalistic Psycho Gorefests, see Horror Film Aesthetics: Creating the Visual Language of Fear. This blog represents a continuing discussion of my views on horror, picking up from where the book left off.